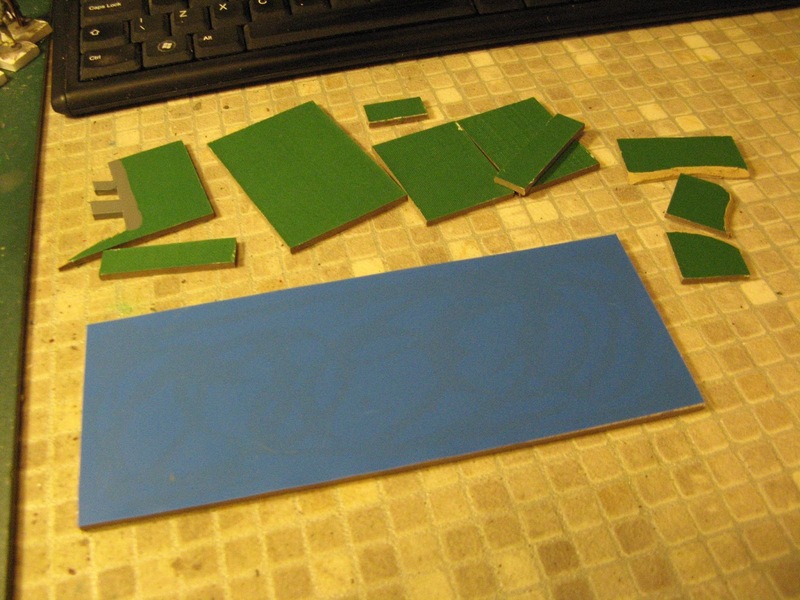 I needed to do some table layout planning, to see how my table risers (various size sections approx 1" thick) could be used with a blue cloth to make basic arrangements for games with harbours or coasts. Rather than get the bulky table risers out and shuffle them about I made some scaled down versions of them at 1in to the foot scale. I'm going to make up some pieces to represent my large hill sections, then I can tryout setups of these with the table risers. Using scale size pieces is a good idea. Lets you try ideas out without too much hassle. Very creative idea, I like it. Ingenious, and you could always use it with some 10mm figures!